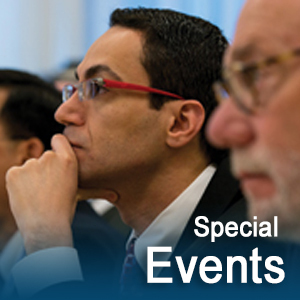 Click here to view a list of the Annual Sessions lectures that will be published. Early Treatment of Transverse Problems: Is it Worth the Effort? Two-phase treatment has been a controversial topic for decades. The speaker will give his perspective on the role of rapid maxillary expansion in early mixed dentition patients. Bonded RME is used in Class I patients to increase available arch space, spontaneously improve Class II problems, improve eruption of impacted canines, and facilitate Class III correction. Indications and contraindications will be discussed. Analyze the long-term stability of early arch expansion, with and without the use of the lower Schwarz appliance. Familiar themselves with spontaneous sagittal improvement of Class II relationships following RME. Identify several ways of using a bonded expander in the correction of Class III issues. Designing a smile has accepted norms and ideals, but contemporary orthodontic treatment planning requires tailoring a treatment plan to the individual needs and desires of the individual patient. This requires us to treat the case presentation as a two-way street. Digital technology helps us tailor the clinical examination into the visual presentation of treatment options for both the patient and doctor to visualize the treatment goals as well as quantify what movements are needed to achieve the proposed outcome. This technology continues to evolve in both orthodontics and esthetic dentistry yielding even closer collaboration in interdisciplinary treatment. Comprehend the psychological impact of image modification to describe Macroesthetic treatment goals. Identify the fundamental philosophical approach of visualization and quantification in treatment planning. Utilize a flowchart of information management to treatment implementation. Once limitations of clear aligner treatments were identified, conceptualizing techniques to improve the predictability in producing desired results was the next logical step. A variety of concepts, methods, and adjuncts have subsequently been introduced to enhance the efficacy and effectiveness of clear aligners. As a consequence, the scope of biomechanics and type of malocclusions that can be more predictably treated has increased, much like adjuncts have improved traditional fixed appliances. As one example, the inclusion of miniscrew temporary skeletal anchorage has permitted the addition of direct and indirect anchorage to support and control more predictable programmed tooth movements with aligners. Identify the purpose and advantages of individualizing clear aligners and applying adjunctive forces to increase treatment predictability. Familiarize themselves with a variety of applications and uses for adjuncts to aligners such as miniscrew anchorage, the addition of buttons/elastics, and enhancement instruments. Prepare a streamlined process for enhancing the clear aligner treatment planning process to incorporate individualized modifications for each patient. This discussion will update the practitioner on the current concepts regarding the purpose of sleep including a, brief cutting edge review of fascinating new information about sleep physiology. The focus will then shift to the specific diagnosis of sleep apnea, reviewing the changing face of the prototype sleep apnea patient, the appropriate use of portable diagnostic screening tests and their accuracy. Treatment options will be discussed with an algorithm to help determine the most appropriate intervention for the individual patient. Lastly, new innovations in the treatment of obstructive and central sleep apnea will be reviewed. Provide a brief overview of the 2018 concepts of the purpose of sleep, the impact of sleep disorders and the ever expanding at-risk population. Update on the appropriate (and inappropriate) use of apnea screening devices… when is more data needed? Identify treatment options: old concepts and new innovations for obstructive and central sleep apnea. The lecture deals with a complex issue of interdisciplinary cooperation in patients with erosive tooth surface changes in enamel or dental abrasion caused by bruxism. The authors describe the features of individual erosive and abrasive changes and they propose their possible solutions. Orthodontic therapies in these patients form a preparatory stage before the prosthodontic reconstruction. The lecture describes which situations can be solved without the orthodontic therapy and which with the therapy, so that the teeth would be in the best possible position before the prosthodontic reconstruction. Of course, the aim is that the prosthodontist could work in the minimally invasive protocol. The authors also present here the use of dental implants as anchorage units for tooth movement, the use of anchorage mini-implants for molar intrusion from supraocclusion, and last but not least they deal with tissue changes during intrusive tooth movement. Identify the difference between abrasive and erosive changes. Evaluate the use of dental implant as an anchorage feature. During intrusion, evaluate whether the tooth be inserted into the bone and therefore bone support be augmented as a result. Nothing affects the entire practice, its stress level and marketability, more than the scheduling system. 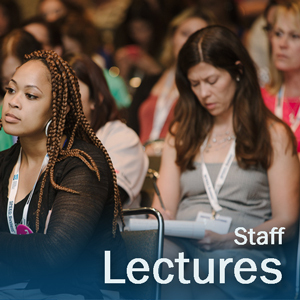 This lecture will detail the steps necessary to create an ideal schedule that runs on-time, while also allowing for flexibility to meet your patients’ scheduling needs. If you are interested in developing a Doctor Time Template and learning the time-tested principles necessary to handle your patients on time, you won’t want to miss this fast-paced informative lecture. Staying on time is foundational to the growth and marketing of any practice, and it makes the practice of orthodontics enjoyable for all. Comprehend how the key components to building an ideal template come together to create the synergy necessary for excellent teamwork. Implement the proven principles for handling late patients and unplanned treatment in an On-Time, Doctor Time, Scheduling System. Develop the teamwork necessary to fill in the Template as designed and work each chair in harmony with the others. A step-by-step demonstration of aligner fabrication in-office for minor tooth movement using the Orchestrate system. Evaluate how my office uses the Orchestrate system for minor tooth movement. Identify which malocclusions are easiest to treat with Orchestrate aligners. 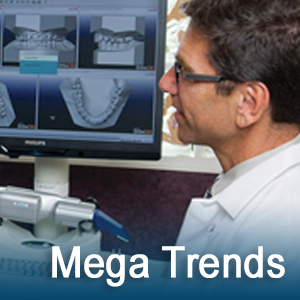 Manipulate the Orchestrate software and printer software and hardware to manufacture the aligners. The perfect remedy for: a drop in production or lack of profits, new starts plateauing or falling off, high staff turnover or low patient loyalty, not enough new starts to acquire, transition or expand. Take the guesswork out of marketing to increase patient traffic, patient loyalty, employee retention, production and profitability. In this course, Wendy O’Donovan Phillips shines the light on the four parts to a balanced marketing formula: brand, online, traditional, and internal. Attendees will gain clarity about the importance of branded marketing, and will review real-life examples on: what to say to potential patients to attract them to the practice, the most powerful ways to reach ideal patients, creating a marketing toolbox that simplifies and saves money, and the best ways to motivate patients to become loyal to the practice. Use patient feedback to brand and market the practice online, offline and throughout the community. Develop a foolproof 12-month marketing plan with easy step-by-step instructions. Understand the dos and don’ts of websites, online reviews, SEO, online advertising and social media. A good night’s sleep is critical for orthodontists and orthodontic staff to function at their best and to best serve patients. 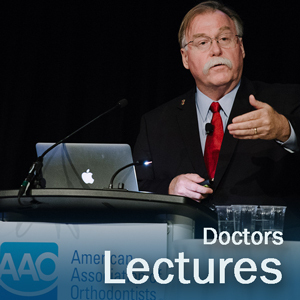 This sleep related lecture provides an overview of relevant information for the orthodontic profession. In your efforts to best care for the oral health of your patients, orthodontists and orthodontic staff have the opportunity and obligation to consider how their work can impact sleep, sleep disordered breathing, and airway health. In addition, questions about sleep should be included on intake forms and orthodontists and staff should offer guidance and referrals to sleep experts and medical professionals who can address related disorders and issues. A beautiful smile and optimal bite can be compromised with insufficient sleep quality and quantity. Comprehend basic sleep science and recognize sleep’s relationship to oral health. Suggest and discuss healthy sleep strategies for you, your colleagues, and your patients. Identify relevant questions to include on intake forms regarding sleep. Treatment to Class I occlusion has prevailed as the gold standard, but the occlusal outcome does not necessarily correspond to favorable or enhanced facial esthetics. Discrepancies among hard structures (bone and teeth) in relation to soft tissue variation in thickness and proportion indicate that in such malocclusions, limited compensation short of a Class I occlusion may be appropriate as the severity of skeletal discrepancy increases. This concept will be illustrated with treatment reports and research findings. Recognize the scope of dentoalveolar compensation. Recognize the constitutional and therapeutic limitations to attaining neutroclusion. Determine how to reach an educated decision to balance individual outcome and expectations with the side effects of “ideal” treatment (e.g compromised esthetics, lengthy treatment).